Duck® 2" Tape Dispenser with Foam Handle & Tape | U.S. Plastic Corp. 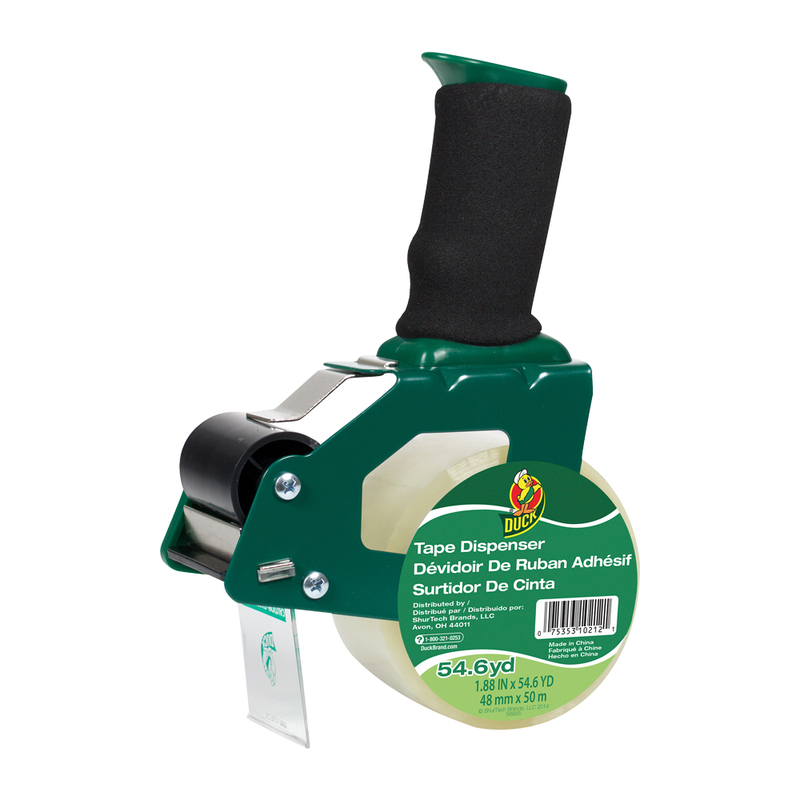 Designed for ease of use, this tape gun features an adjustable tension control knob that makes it easy to apply your tape onto the box without any frustration or fatigue. It features a foam handle that provides comfort when you are taping up multiple boxes at once.